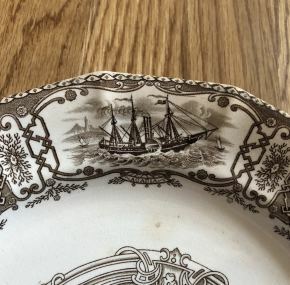 Brown dinner plate in what is commonly referred to as the “Boston Mails” pattern. 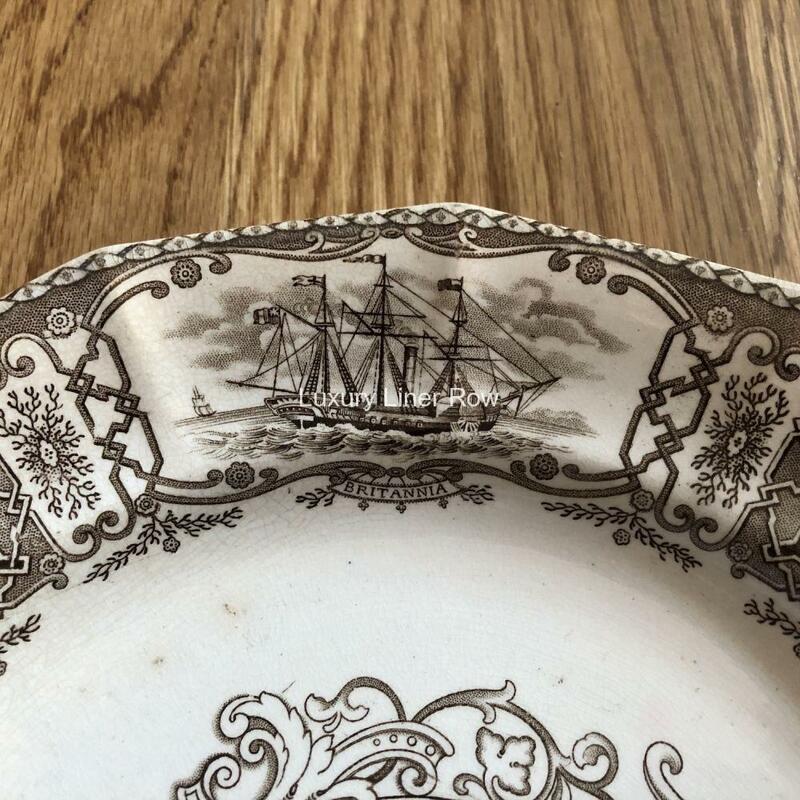 The edge of the plate is surrounded by a lovely border decoration with images of each of the first four Cunarders–Britannia, Acadia, Columbia, and Caledonia. 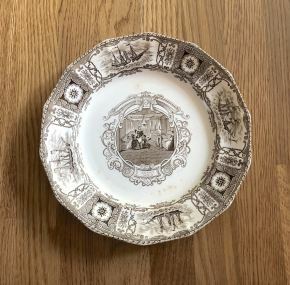 This particular plate has an engraving of the Ladies’ Cabin in the center. There has been some speculation that this was actually the first pattern ever used by Cunard, but that has been disproven. 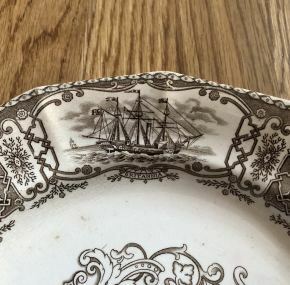 It seems that this china was produced to commemorate the first Cunard steamers. 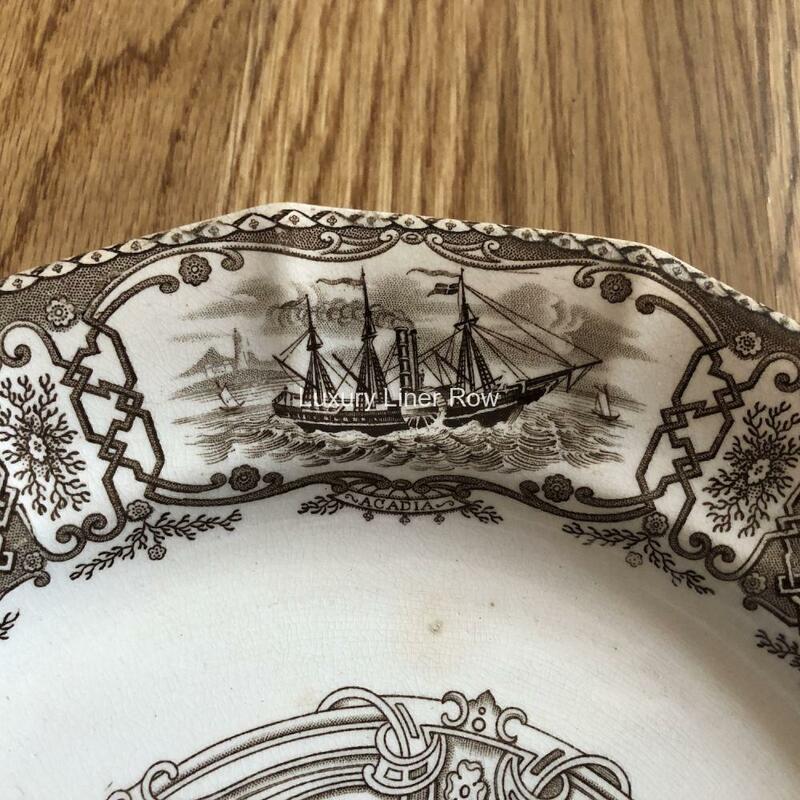 This china came in various colors–blue, brown, black, lavender, etc. 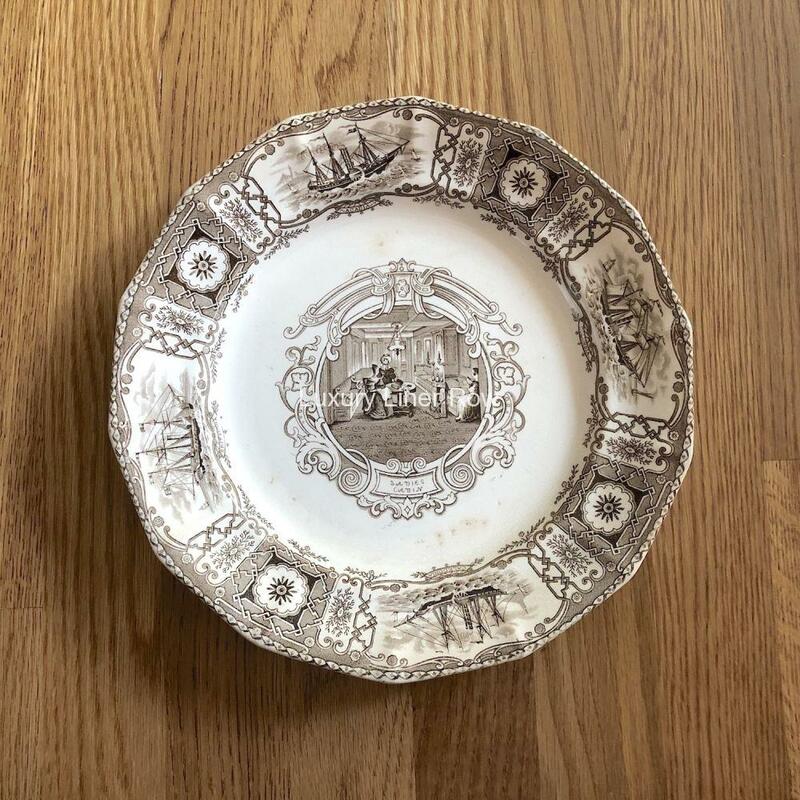 The plate measures nearly 10.5″ across. Given the age, there is some caring and some browning on the back.